What food is to the soul, the thread is to the sewing machine. If the thread is not proper or causes lots of problems, then the entire feel of sewing can be ruined. This guide on threading a sewing needle is meant to provide all the knowledge on threads and threading techniques. Check it out to avoid any issues in future. Before going into the techniques, let us first see what different types of threads are available. This will clear various things when you actually start to thread. Rayon: This is most probably the most common thread that is used in embroidery. It has a good sheen and is used as a cheap alternative to silk thread. The stitches come out as very smooth, silky and glossy. The entire result looks very attractive. However, the look can deteriorate over time. So you need to maintain the stitches well to make them look good over time. 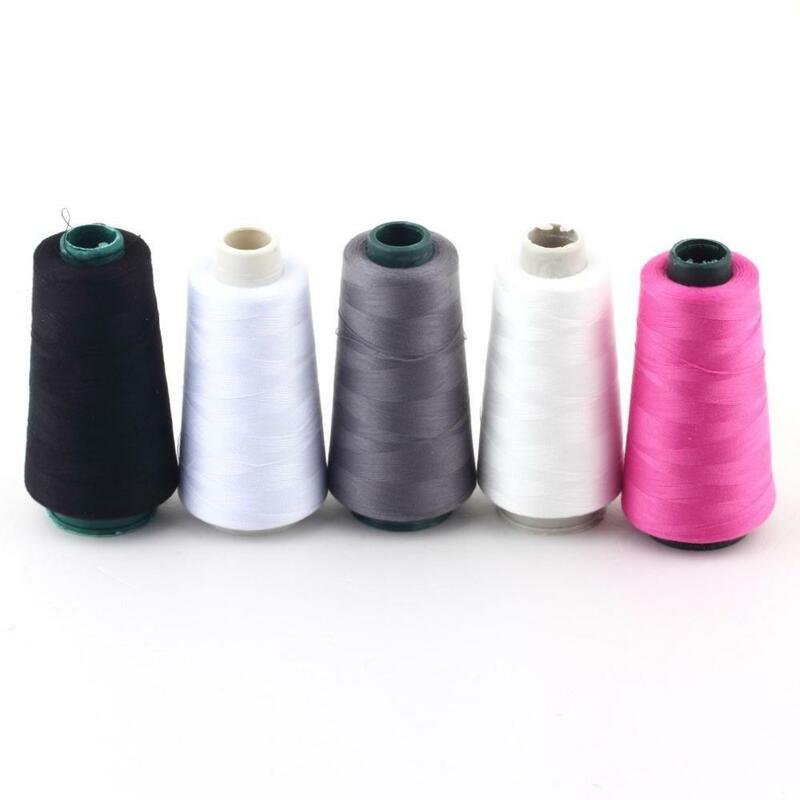 Polyester: This thread is produced synthetically using polymer resins. With a matte finish, it looks like cotton. If given a sheen finish, it looks like silk. Moreover, polyester is strong and an economical choice. The best part about it is that it won’t shrink over time or due to washing. Also, due to washing, the colour also does not bleed out. Nylon: This is also a synthetic thread. It comes with strength. However, it is not heat resistant. It fades with washing. Also, it becomes brittle and starts breaking off with every wash.
Cotton: It is a completely natural fibre. It is used in high-speed machines. These threads weave well and easily. They have a soft sheen. The embroidery floss comes with 6 strands, and they can be woven together or separated out as per your wish. They are resilient and easy to care for. But they aren’t as strong as the other synthetic threads. Metal/plastic: These aren’t threads. Rather they are made of thermoplastic which has an aluminium coating. Then it is cut into thin strips using a laser. Metallic: These threads are made of gold or silver and are way too expensive. These are used along with embroidery threads so that it gets a contemporary look. The quality can be good or bad depending on the make of it. Silk: These threads are a favourite for embroidery. They absorb dye very easily and sew smoothly without any breakage. Silk combines the strength of polyester and the stability of cotton. It also has a distinct sheen that makes it costlier that other threads. Wool: It is another animal fiber that has a soft look. It does not return a lot of light. It has a smooth texture and provides warmth. Now let us look at the thread problems that a person will face on a daily basis. Thread problems: Sometimes, everything is fine, but the thread doesn’t seem right. The stitch might get loose or too tight. There can be tension issues also. So, in that case, re-thread the machine. Bobbin: If that does not work, it is time that you check your bobbin. The bobbin case can be too tight or loose, and when that happens, you are faced with a plethora of problems. Machine health: If the above steps don’t solve your problem, it is time to check how good the condition of your machine is. It can be so that your sewing machine is dirty. So clean it up and you will be all set to go. Broken parts: So you did all of the above and still it is not working perfectly. Well, it might be that you have a broken part. Open up your sewing machine and investigate carefully. Proper thread and needle: Sometimes, the problem lies not in your machine but in your needle or thread. Make sure that you are using the right thread for your sewing machine. Also, make sure that the type of thread is correct. Do not mix and match the threads in the bobbin and spool.It may happen that poor thread tension arises due to incorrectly inserted needle. The flat side of the needles must always face the back of the machine. Also, no thread should be sticking out of the bobbin. There should not be any loose thread either. 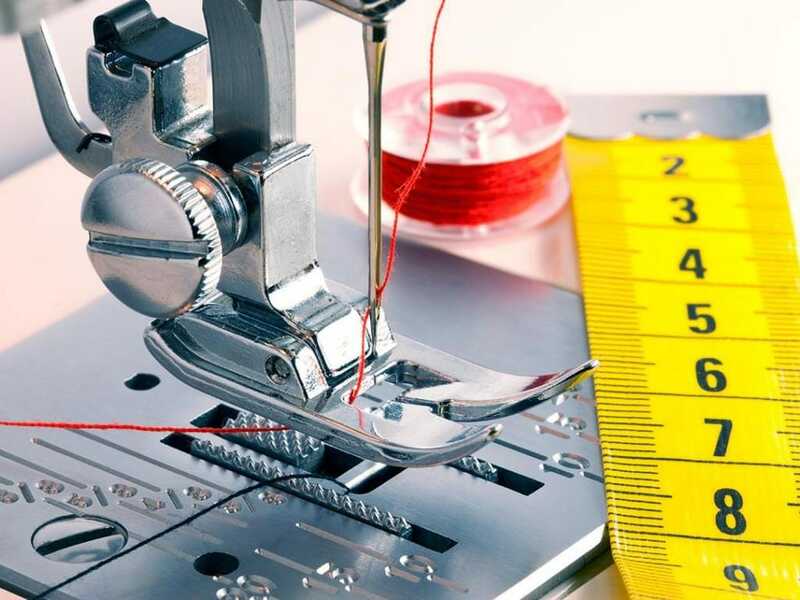 READ How Much Is My Sewing Machine Worth? Now we come to the threading tips. These are out of the box tips that have been tested and tried over time. White liquid method: White is an easy color to see against. So get some white liquid or nail paint. Apply a little of it to the spindle that holds the foot right behind the eye of the needle. Let it stay. When it gets dry, you can use it as a white background. This makes it easier to see the thread and does not confuse us. We can see where the thread is headed to and keep it on the right direction. Wet it: Lick the end of the thread or spray it with a hair spray. This will join all the frays and make the thread end strong so that it passes through the needle hole easily. Trim the end: If you do not want to lick it, you can cut the end such that there are no frays. Then, the thread will pass without getting stuck in the hole. Twist it: Or you can twist the end of the thread to make a sharp pointed end. So, these were some of the threading techniques that will make your life easy when threading the needle of a sewing machine.